Brandon Jones picked up the 1st last-place finish of his NASCAR XFINITY Series career in Saturday’s Alsco 300 at the Kentucky Speedway when his #33 AAA / Bob Sumerel Tire & Service Chevrolet was involved in a multi-car accident coming to the green flag of the 200-lap race. The finish came in Jones’ 54th series start. As mentioned by the booth on Saturday, Jones has steadily developed into a contender despite some bad luck along the way. In 2012, during his first K&N Pro Series East race at Greenville-Pickens Speedway, the 15-year-old was running on the lead lap when a wreck with Darrell Wallace, Jr. left him 14th. Two years later, as a development driver for Turner Motorsports, Jones won his first East race at Iowa, plus a pair of ARCA wins at Winchester and Indianapolis Raceway Park. Turner also gave Jones his start in the Truck Series in 2013, where he ran 27th in his debut at Bristol, and his first Top 5 came the next year at Dover. Turner Motorsports’ closure left Jones without a ride until GMS Racing picked him up in early 2015. In their first race together at Martinsville, Jones ran 15th. 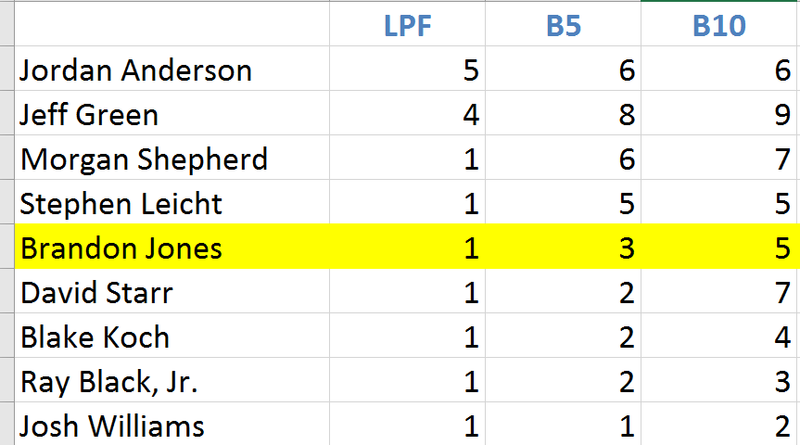 Despite missing the first two rounds of the season, Jones would go on to score four Top Fives and eight Top Tens in 17 starts, good enough for 15th in the series standings. Through GMS’ technical alliance with Richard Childress Racing, Jones also broke into the XFINITY Series that year, finishing 8th in his debut at Iowa, then 5th at Kentucky. It became an easy decision to put Jones in Childress’ #33 full-time in 2016, during which time he scored Top Tens in 12 of 33 races with a best of 6th at Las Vegas. 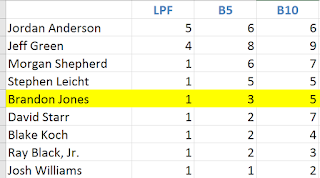 Coming into Kentucky, Jones had scored his first XFINITY Series pole at Daytona, but had finished in the Top 10 just once all year (a 9th at Michigan). He had also yet to finish in the Top Five in XFINITY since his series debut. His performances have been better in ARCA and Trucks, where he’s continued to compete this year. He’d won the last two ARCA races at Michigan and his two most recent Truck finishes for MDM Motorsports were a 6th at Dover and 3rd at Iowa. He ran the Trucks again on Thursday, and this time waged a furious two-truck battle for the lead with Christopher Bell. For ten laps, Jones closed, then fell back, then closed again, only to earn his first runner-up finish by 0.187 second. After Friday’s rainout of track activities, Jones was certainly looking forward to the XFINITY race. But 3rd-fastest in Friday’s only practice session and 11th in the first round of qualifying, Jones struggled in Round 2, missing the cut with the 20th-fastest lap of 178.165mph. As it turned out, this would prove critical on race day. Qualifying proved just as wild at the other end of the field. 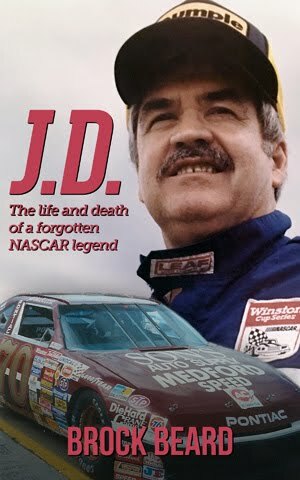 44 drivers were originally entered, but even after JD Motorsports withdrew Joe Nemechek’s #15, three would still miss the cut. 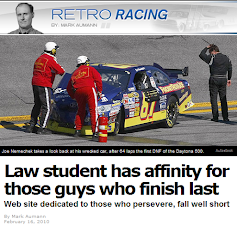 First to find trouble was Brandon Brown in King Autosports’ #90 Coastal Carolina University Chevrolet. On his warm-up lap, Brown lost control in Turn 3 and backed into the outside wall. Without a backup car or a timed lap in the session, the #90 team was forced to withdraw. Also missing the cut was Quin Houff, who spun during his first timed lap and had to abort his run in the #46 beatincancerwithduke.org Chevrolet. It then came down to Morgan Shepherd, who needed to break the Top 33 to get his #89 Racing With Jesus Chevrolet into the show. Despite several runs, his best lap of 170.951mph fell two-tenths short of Harrison Rhodes’ 172.474mph, and Shepherd became the third car sent home. Starting 40th and last on Saturday was Angela Ruch (formerly Angela Cope), who was making her first XFINITY Series start in nearly five years. This time around, she would be driving for B.J. McLeod in the #78, bringing with her sponsorship from the “Give A Child A Voice” foundation. Lined up next to the #74 Veterans Motorsports, Inc. Dodge of Mike Harmon, Ruch only held the spot for a matter of seconds as trouble broke out in front of her. 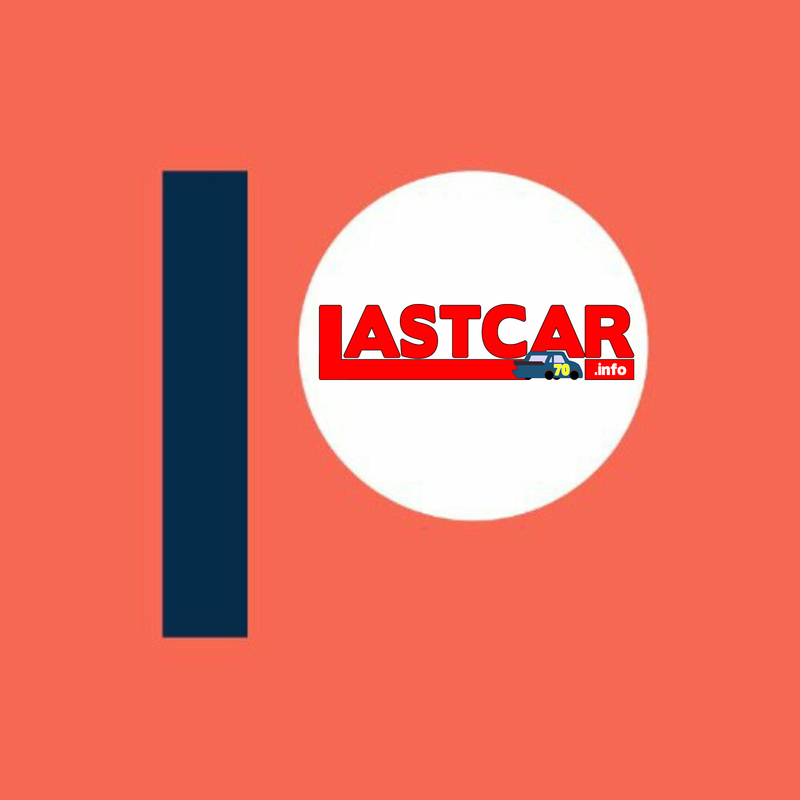 While polesitter Kyle Busch accelerated at the very end of the “Restart Zone,” nearly the entire rest of the pack anticipated a much earlier start, causing the cars to stack up behind Busch and outside-polesitter Erik Jones. The pinch point came ten rows back, where Ryan Reed’s #16 Lilly Diabetes Ford rear-ended the #11 Leaf Filter Gutter Protection Chevrolet of Blake Koch. At that same moment, Koch bumped the back of Brendan Gaughan’s #62 South Point Hotel & Casino Chevrolet at just the right angle to hook Gaughan to the right – directly into the left-front of Jones’ #33. While all the other drivers involved were able to complete repairs inside the “Crash Clock,” Jones’ left-front damage was enough to send him behind the wall, out of the race. 39th went to Gaughan, whose damaged #62 cut down a right-front tire on the restart, sending him hard into the Turn 2 wall. 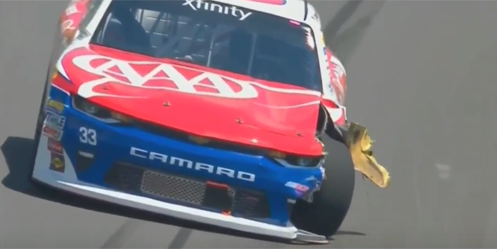 Ryan Reed, who suffered heavy nose damage in the wreck, lost two laps and took a trip behind the wall for an oil leak, but could only climb to 36th before overheating issues ended his day. Between Gaughan and Reed were Timmy Hill, whose #13 OCR Gaz Bar Toyota was locked-into the field after Brandon Brown’s qualifying crash, and 2017 LASTCAR XFINITY Series runner-up Jeff Green in RSS Racing’s #93 Chevrolet. *As of Saturday, Richard Childress Racing has fielded 1,425 XFINITY Series entries since their series debut in 1995. Saturday marked only the second time one of those cars has finished last. The other time came on June 12, 2005, when Brandon Miller’s turn in the #21 Reese’s Chevrolet ended with a crash after 33 laps of the Federated Auto Parts 300 at the Nashville Superspeedway. 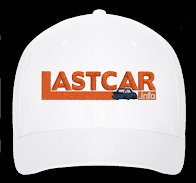 *This marked the first last-place finish for the #33 in an XFINITY Series race since July 22, 2000, when Tony Raines’ run in BACE Motorsports’ #33 Alka-Seltzer Plus / Aleve Chevrolet ended with a Turn 4 crash after 206 laps. *This was also the first time an XFINITY Series driver finished last without completing a lap since July 23, 2016, when Todd Peck’s #15 Keen Portable Buildings / Momo Ford fell out with engine trouble on the first lap of the Lily Diabetes 250 at Indianapolis (though he lost the engine after turning 15 of 20 laps in the second heat race). It certainly didn't help. That's the big hazard that remains with the Crash Clock, forcing teams to rush repairs without all the tools they need to do it.